The Guardian recently released a new live music map giving users the opportunity to add photos and reviews from gigs. Users of this new online tool can also browse the latest photos and tweets from music lovers witnessing their favourite acts in the UK and beyond with the Guardians interactive live music map. There has been very mixed reviews about this new idea since it began back in November 2012, many believe it will encourage people to show off and they can’t see much difference between using this map than simply uploading photos direct to Facebook. Others believe it’s an excellent way to support local music scenes, providing opportunity for further exposure for new bands trying to breakthrough and venues to gain more publicity around the UK. If you want to get involved and make your own contributions, find out more here. 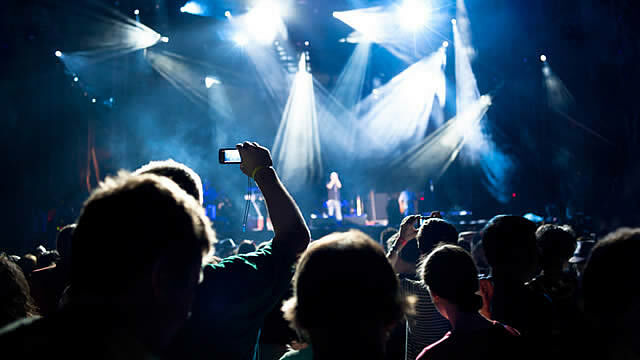 Post a live report from a gig via Twitter, Instagram or n0tice – All you need to do is ensure you’ve got location switched on, and hashtag it with #GdnGig. ← Is Having Too Much Interest Such A Bad Thing?